Gun safe manufacturers make a lot of claims about their products, but how many of those are true? 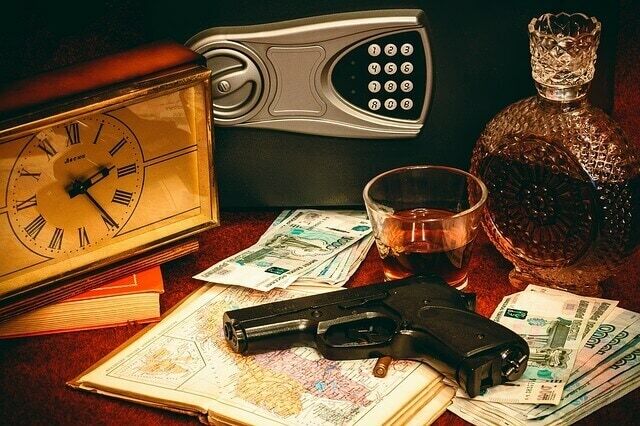 Here I’ve gathered several gun safe myths and reveal the truth about them. No, it does not. A gun safe can provide protection only if it has the right features, and you also have to do your part to make sure only authorized people have access to it. Even so, no gun safe is 100% secure. However, there are steps you can take to enhance its protection. A biometric gun safe is ideal, but make sure to wipe the fingerprint scanner after every use. Also remember to test the gun safe security features before putting anything in it. One of the biggest mistakes new gun safe owners make is assuming that it guarantees protection. It does not, so you have to take all precautions even with a gun safe. This is generally true, but it also depends on what type of metal was used for the door. For the utmost security, the door and the rest of the gun safe must meet the Underwriters Laboratories (UL) standard. This information is included in the product description. If the gun safe doesn’t meet this standard, your gun – and whatever you put in it – is not safe. Not all gun safes are made of steel. Instead, some manufacturers use thin metal sheets which are cheaper but not as durable. Avoid gun safe whose doors have no custom fitting, as that reduces the tolerance level. Make sure the gun safe door is solid so the steel doesn’t get bent. As you can see it takes more than just thick doors and walls to make a gun safe secure. Aside from the features I have listed above, a high-quality gun safe has a well-designed locking bolt carriage and steel door frame. A lot of gun safes are constructed to look like personal safes, but they’re not. Most safes are made from B-Rate steel, which is much stronger than the typical 12 gauge used on typical gun safes. Does this mean gun safes are not secure? They are, but don’t fall under the assumption they’re as solid as a personal safe. This is a common and dangerous myth. Just because your gun safe is heavy doesn’t mean you shouldn’t bolt it down. If 3 or 4 burglars break into your house, they can lift the safe. The more determined thieves even come with a truck and tools, so always bolt the safe. Criminals have been toughened up in the streets or for doing time, and they’re very strong. Do not underestimate their ability to lift heavy gun safes. If your house is being targeted for a break-in, they may be aware you already have a gun safe. They will attempt to break in with some tools. Follow the instructions for bolting your gun safe. If you’re not sure how to do it, get professional help. Once the gun safe is bolted, remove the tools so burglars won’t be able to use them. A gun safe can be secure if it has top notch security features built in. However, it would be a mistake to believe it’s going to deter burglars from trying to break in. This is another reason why it pays to invest in a quality gun safe. Today you can look up “safe cracking” and get information online, so don’t settle for anything cheap. What I’m saying is it takes more than just a gun safe to secure your gun and valuables. You have to make sure it’s well maintained. Store the gun safe in a secure location, like your bedroom. Don’t put it in the living room for everyone to see. If family members each have their own gun safes, take care not to reveal information to other people. It’s not just burglars you have to worry about. Children are naturally curious, so make certain they won’t be able to crack the code. A burglar alarm is essential, but don’t rely on it alone. Even the best home security systems will fail if they’re not installed properly. Thieves could take out simple burglar alarms by cutting the phone wire. That’s why it’s better to have a wireless system or one that connects to your mobile device. Learn how to use your burglar security system to reduce incidents of false alarms. This used to be the case but not anymore. Today’s thieves don’t hesitate to break in during the daytime if they see the house is unguarded. Another reason why burglars now strike at day is they know residents aren’t home. Even if your home is secure, there is no reason to assume burglars won’t try. This is not true. Sometimes we think that burglaries will never happen to us, but the truth they can strike anywhere, anytime. When it comes to home security, always hope for the best and prepare for the worst. Can a gun safe provide protection? Yes, but their presence alone won’t be enough to deter burglars who want to steal from your house. I am by no means saying gun safes are useless, but there is a lot of misconception about what they can and cannot do. With the information here, you will know exactly what to expect from a gun safe.